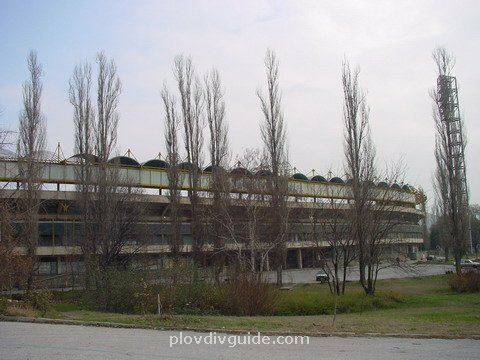 The unique Plovdiv Sports Centre is the largest of its kind in the whole of Eastern Europe. 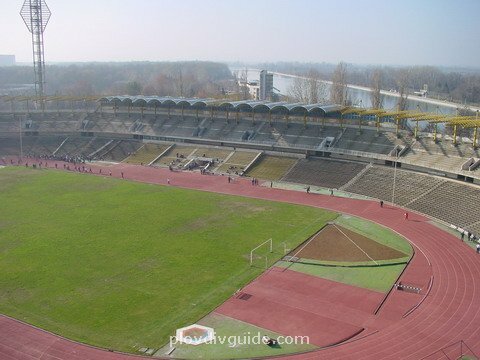 During the second half of June 2004 the Cup Europe Athletics Competition will take place here. 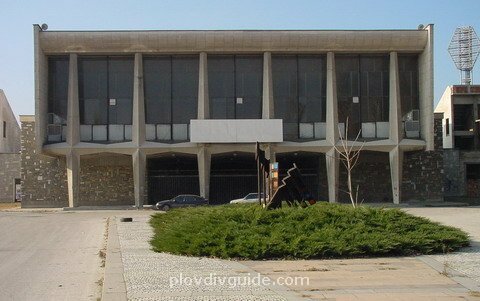 The main entrance of the sports centre and part of the gymnastics, volleyball, judo, sambo, wrestling, box and weight lifting halls. 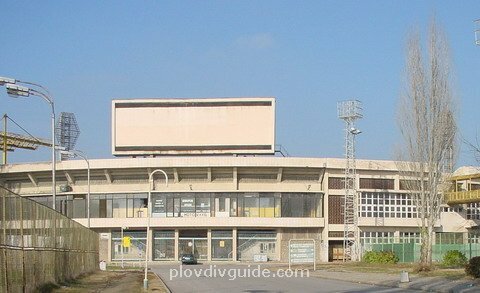 All the outdoor and indoor facilities of the sports centre meet all the standards and requirements for organizing world championships. In 1990, the Junior Athletics World Championship. 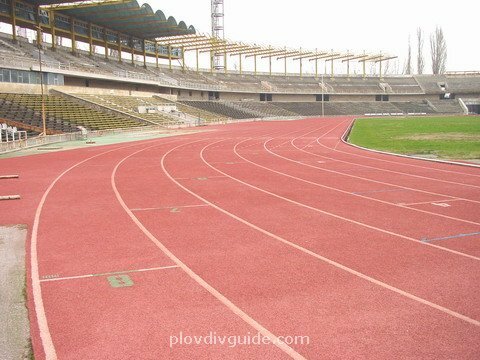 Athletics track with jumping and throwing sectors is covered with the superb Resisport covering. 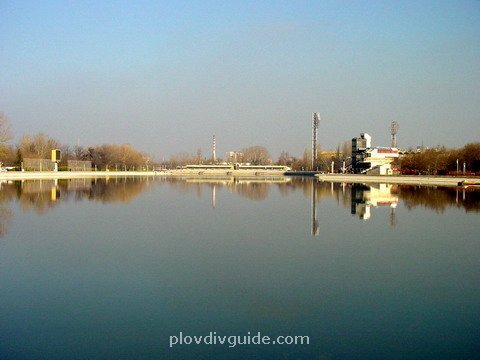 The Plovdiv Stadium is in the centre of the sports complex, and features 50 000 seats with a view to the various sectors and tracks: the special 110-hurdle track, the four long-jump and the hop-step-and-jump sectors, the four sectors for pole vault, putting the shot and high jump. The sports centre features a throwing sector for throwing the hammer, discus and javelin. 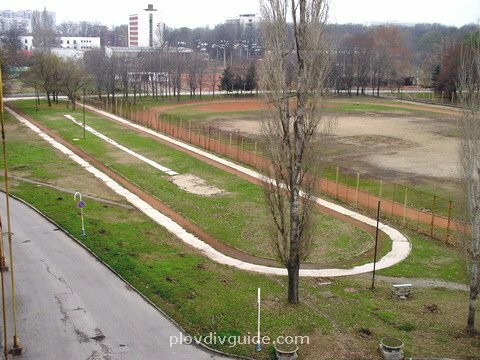 Hammer and discus throwing sector. 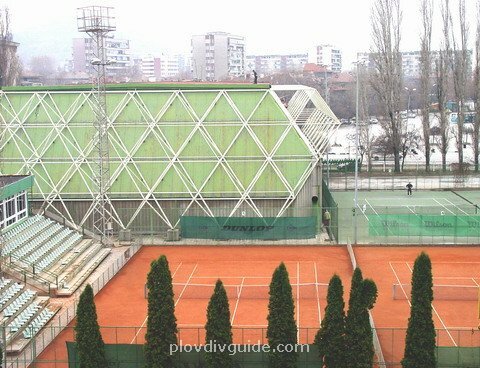 The Plovdiv Sports Centre features indoor and outdoor tennis courts. 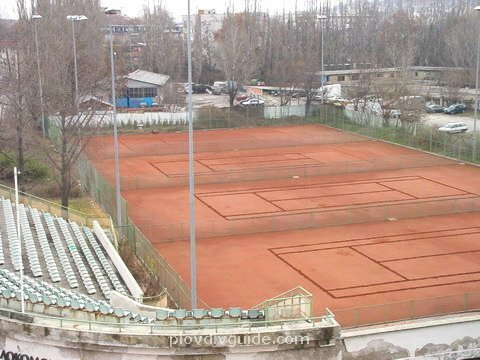 Part of the outdoor tennis courts. 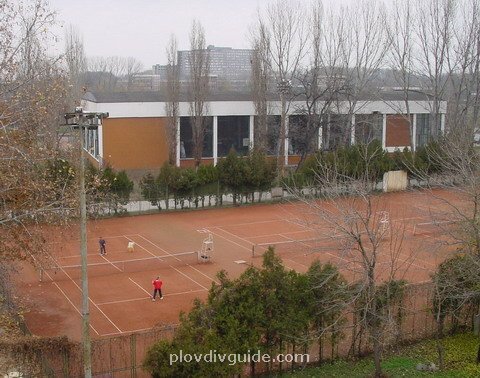 The sports complex works throughout the year and offers outdoor and indoor swimming pools. 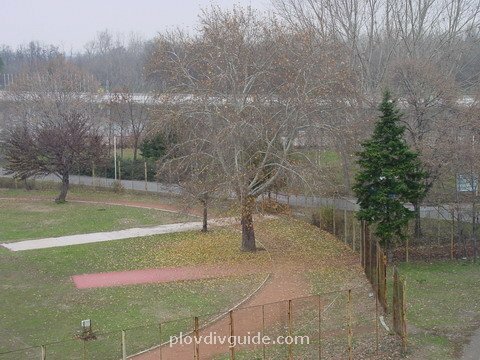 The swimming facilities works throughout the year. 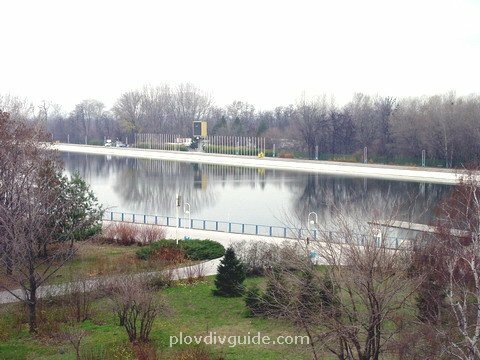 The rowing canal is a perfectly maintained modern facility. 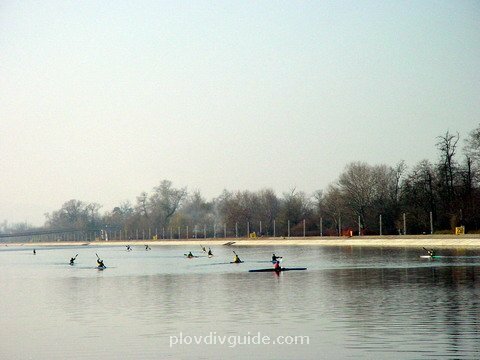 The facility offers perfect conditions for rowing. 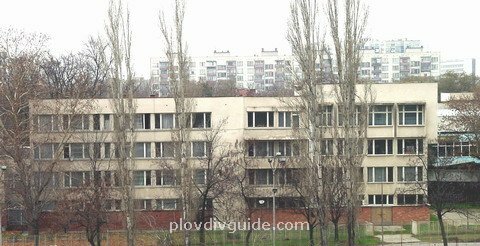 Young sports talents, following the steps of the two-times Olympic champion Nikolay Bouhalov, are training here. 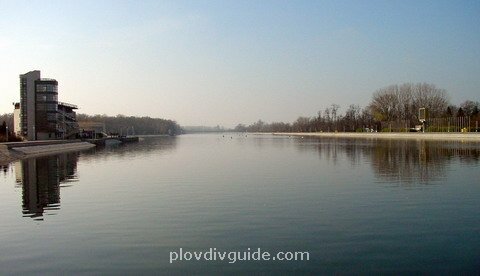 The rowing canal is 2500 m long. 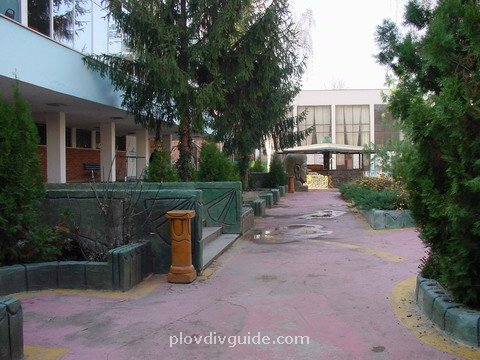 It is situated in a picturesque park area by the Maritsa River. 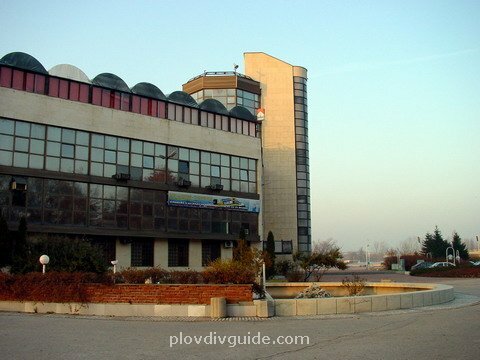 The Administrative centre at the Plovdiv Rowing Canal features best conditions for organizing world competitions. The Sports Rehabilitation Centre disposes of very modern equipment for rehabilitation of various sports injuries. 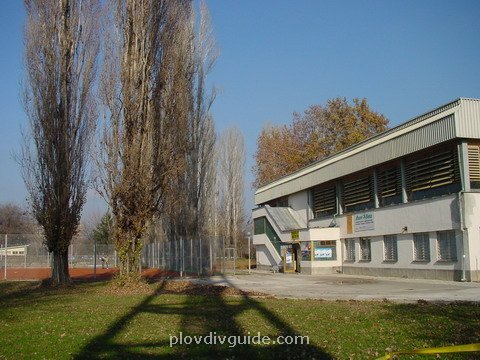 The Plovdiv Sports Centre also features an additional sports base the Sports School Centre, where parallel sports competitions can be organized. 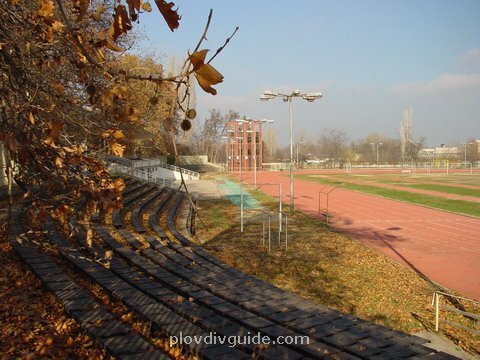 The small stadium of the Sports School Centre features a Resisport covered track for various athletics championships. 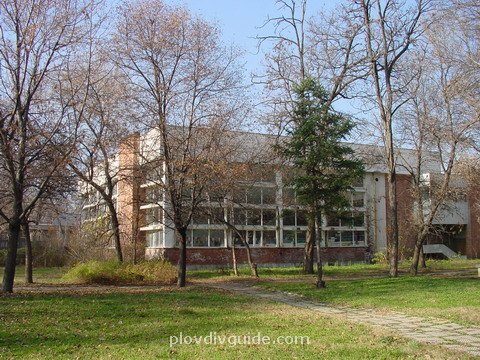 The perfectly equipped base of the Plovdiv Sports School is also within the Plovdiv Sports Centre.